D’Qar – Greenham Common, Berkshire, UK. 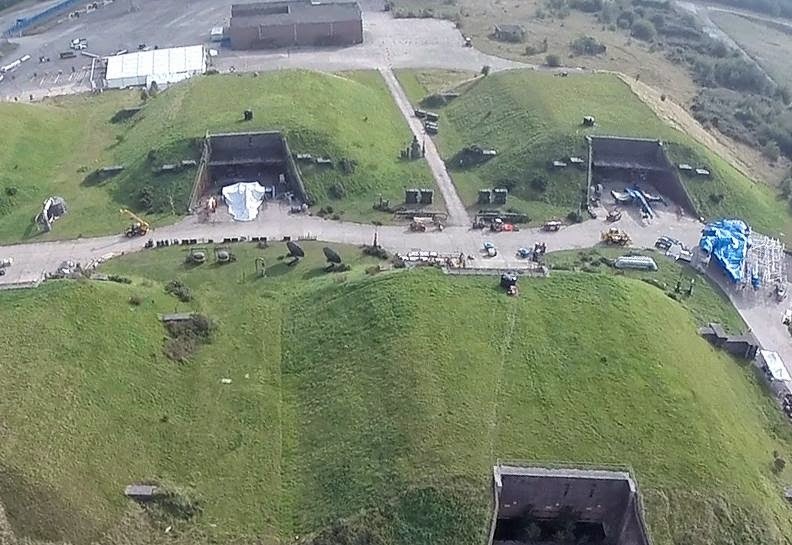 Royal Air Force Greenham Common or RAF Greenham Common is a former Royal Air Force station in Berkshire, England. The airfield was southeast of Newbury, Berkshire, about 55 miles (89 km) west of London. Opened in 1942, it was used by both the Royal Air Force and United States Army Air Forces during the Second World War and the United States Air Force during the Cold War. After the Cold War ended, it was closed in 1993. In 1997 Greenham Common was designated as public parkland. 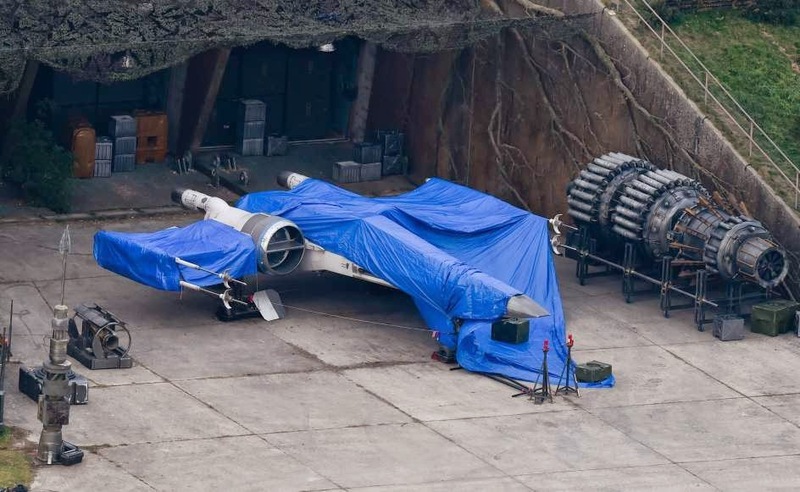 According to the Star Wars – The Force Awakens Visual Dictionary, D’Qar is a world of lush vegitation and no intelligent life! 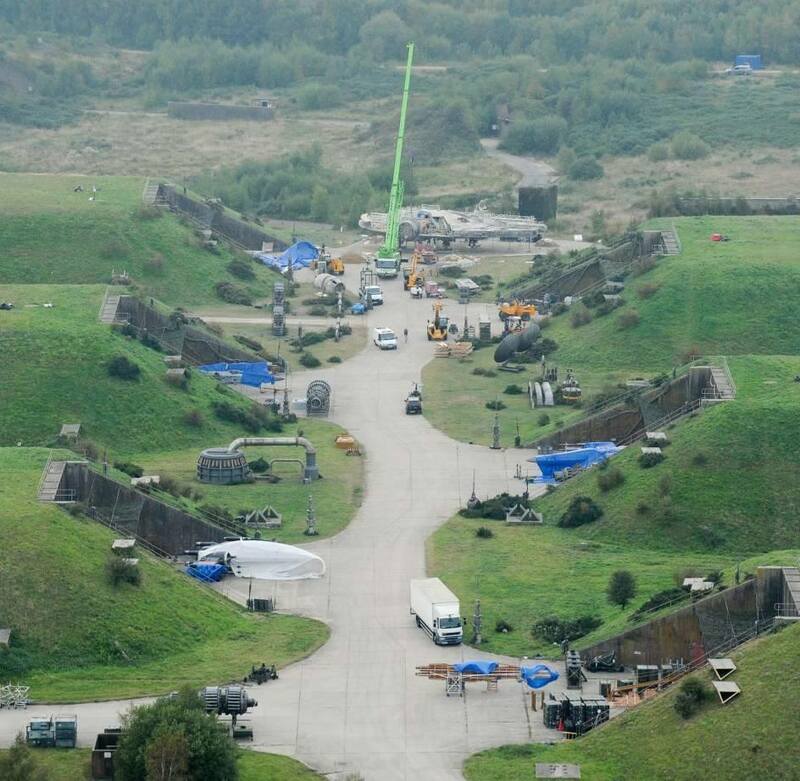 Greenham Common was used in the build-up to the battle between the Resistance and the First Order on Starkiller base and where Rey heads off to locate Luke Skywalker. 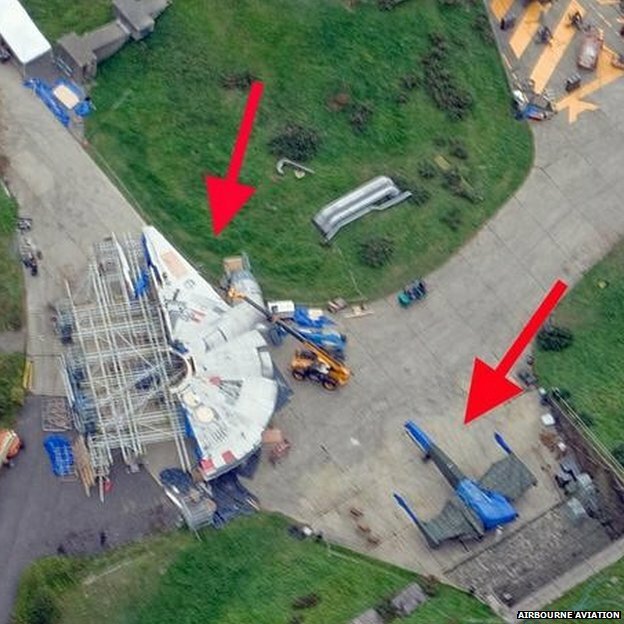 The area where the Millennium Falcon was built is, I believe, to the Western side of the structures. Finn and Poe prepare for the final battle with the First Order.